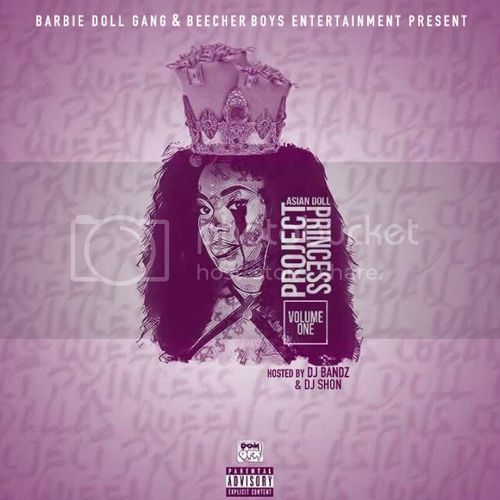 Em Soto - "I Got The Keys Freestyle"
Brand New mixtaoe from @ASIANDADOLL "Project Princess Vol. 1 "
Charley Young - "Phoenix Rising - EP"
Charley Young is a driven, passionate and talented music artist who has recently completed the works for her new studio release. AfterPxrty - "Flight to Tennessee"
The Next Biggest Dj Out Of New York is Dj Allstar! In a New York market saturated with DJ's emerges a newcomer who bolsters a vast array of music; appealing to nightclub connoisseurs who enjoy a melting pot of sounds. House, Hip-Hop, Top 40, Reggae, all part of his repertoire. Jaydott ft.Bravo Starr - "RIP"
Bank We$$ - "Back Up Hoe"
BIG HOOKZ x KEVIN GATES x LIL TIZZLE SMASH HIT SINGLE - "Pull Out Cash"
Fresh new single from @yourownfreewill titled " Lemonz "
Jakk Wonders - "Peace II Brooklyn"
So how does Brooklyn, NY look and sound to people who have never set foot in the iconic borough? On the latest instrumental project "Peace II Brooklyn" by South African beatsmith Jakk Wonders, the Johannesburg resident creates a 10 beat audio scenic tour of the 718. Pop Star Musician Eve Minor Smash Hit Single - "Piggy Bank"